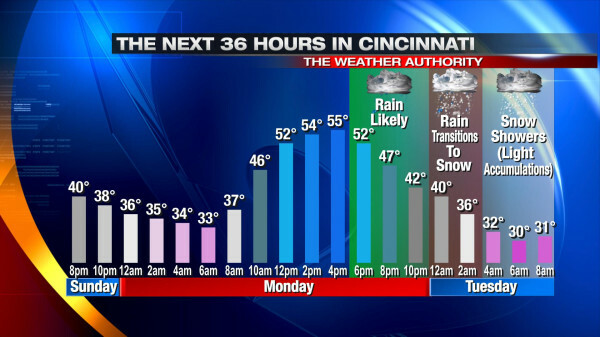 There is already a lot of buzz about the cold front moving through the Tri-State tomorrow night and early Tuesday…specifically about the chance for snow that will come with it. This upcoming event is more than just a chance for snow. 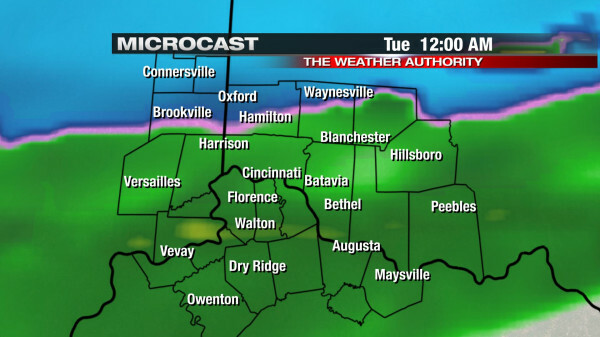 Temperatures will drop to around 30° by 7am Tuesday, so snow will struggle to accumulate at times for many. If temperatures were well into the 20s, snow would easily stick, and we would get a lot more than we are forecasting now. Given temperature profiles, the timing of the cold front behind the front, and the temperature of the ground, we are not expecting a lot of snow, but accumulations are still expected for many if not most in the Tri-State. 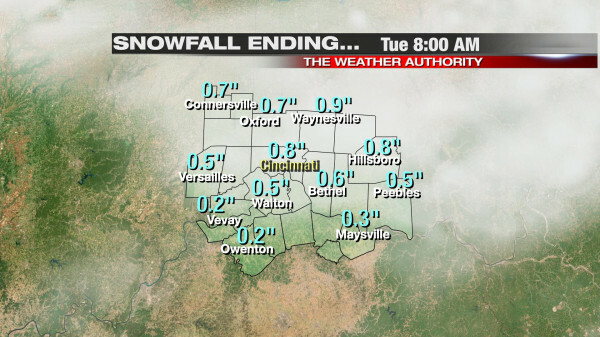 Again, this is a more accurate depiction of snowfall accumulation on grassy, cold, elevated surfaces. 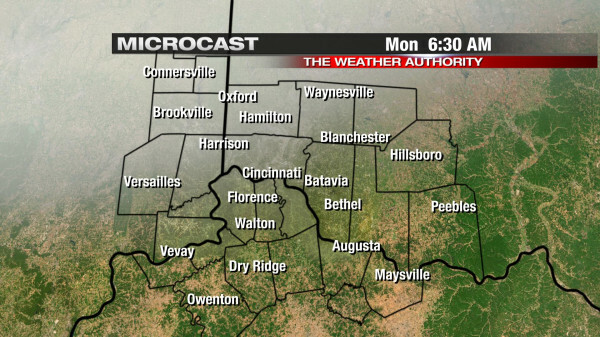 Little to no snow is expected on roads, especially if they are treated. Some roads, however, may still be slick, and patches of ice on roads can’t be ruled out (especially in low-lying areas where pavement temperatures may drop near 32°). Overall, 1/5″ to 1″ of snow is expected for our area tonight and early Tuesday morning on cold, elevated, grassy surfaces. Much of the snow that falls may melt on contact, so few if any areas will have their full storm total on the ground at any given time. Like all snowfall events, specific amounts are subject to change as new forecast models complete tonight and tomorrow. Stay tuned for possible changes in the forecast. 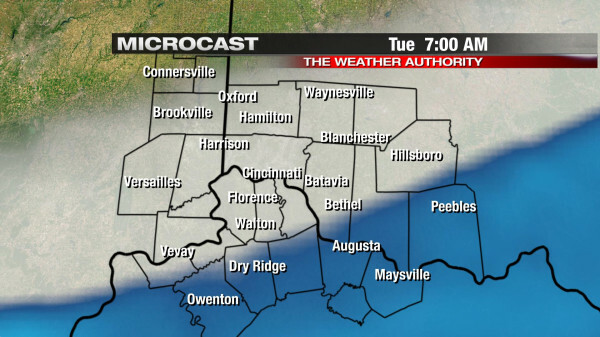 This event is likely going to be the first accumulating snow event for many in the Tri-State. Snow accumulations will be light, but the Tuesday morning commute – especially early – could be messy in spots given snow in the area and wet roads. 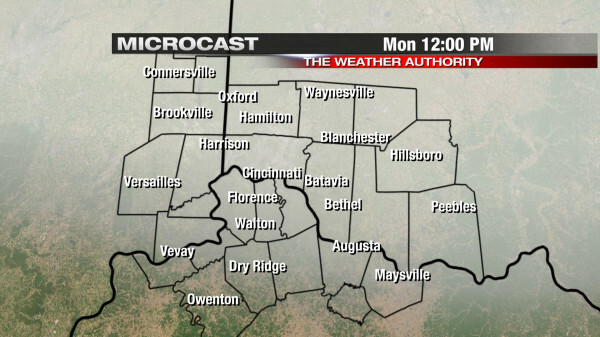 Snow will not be powdery; it will be relatively wet, and much of it will not stick or at least not stick for long. Clouds will decrease quickly Tuesday morning and afternoon, and the sun will help to melt a lot of the snow that falls early Tuesday. High temperatures Tuesday are only forecast to be in the mid to upper 30s, and we’ll be only 1-2° warmer Wednesday afternoon – even with lots of sunshine. 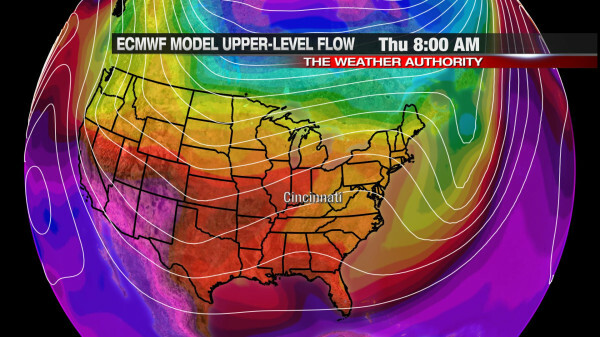 Overnight lows will be in the low to mid 20s Wednesday and Thursday night. 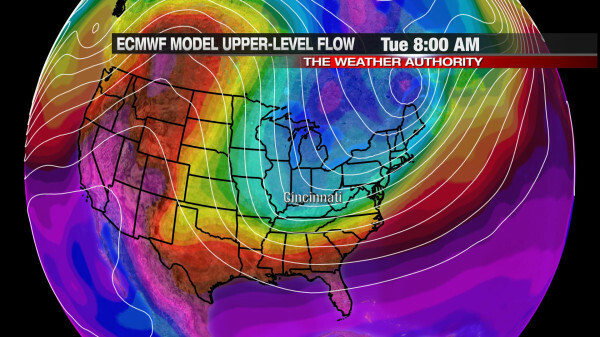 The cold front that comes into and through the Tri-State Monday night and Tuesday isn’t going to be a major storm. It will not be a major disruption, but it will be an inconvenience. This event isn’t going to close dozens of school districts, but parts of the morning commute Tuesday will be tricky…especially early. The odds of this event producing a “shoveling” amount of snow in your community is unlikely at this point. Please allow for extra time on your drive to work or school Tuesday!